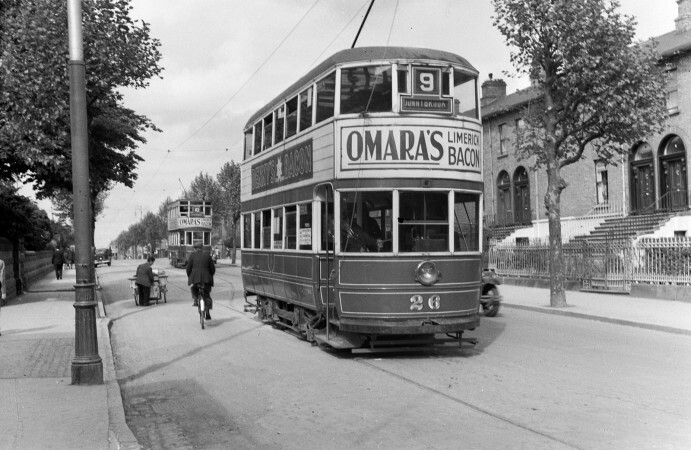 Dublin’s original tram system came into use in 1872 and was a roaring success by any standards. By its peak in the early years of the 20th century, by which time it was fully electrified and there was over 280 trams working along 60 miles of track. The heavily used service ran at a profit, although fares were low and it was accessible to even the most lowly paid workers. The service ran between the suburbs and the city centre with two ‘excursion’ services to Howth and the Poulaphouca waterfall in Wicklow. Trams began to decline in use from the mid 1920s when the first bus services began and commuters were swayed by the relative modernity of buses. For a time there was a somewhat dirty war between the two, with the more nimble buses, unrestrained by tracks, routinely overtaking trams and nipping in to steal waiting passengers. By the time the picture above was taken the decline of the tram was well underway, there were fewer than 120 trams in operation and much of the track was unused. After that it was downhill all the way, with one service after another closing until the final one – the Howth tram – closed in 1959. 45 years later the first of the new LUAS trams made its inaugural journey to great hoopla about how modern this tram thing was compared to buses – not a little ironic. This service too has been a great success. Well over 100,000 journeys are made a day, it operates without state subvention and has, in recent years, began making a small profit. It has not been immune from criticism though, not major one being that the two lines – the Red and Green lines – don’t connect in the city centre, it requires a good 15 minute walk to make a connection. There are plans to remedy this rather ridiculous situation with the building of a connecting track. The LUAS trams are lovely, shiny and new and notwithstanding periodic overcrowding they are a pleasure to travel on. But there is something about the older ones that is much more alluring. 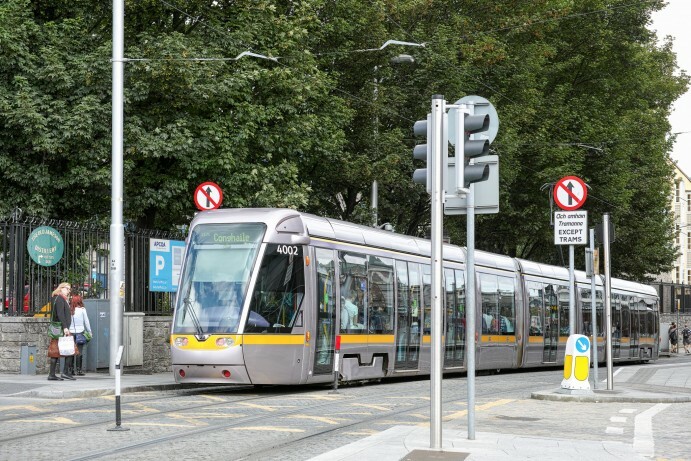 Have you something to add about "Dublin’s Trams"?